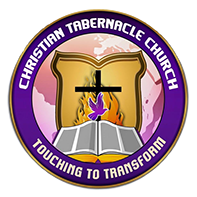 Our Beliefs - Christian Tabernacle Church of God Inc. The Holy Bible was written by men divinely inspired, and to that end, all scripture is given by inspiration of God, and is profitable for doctrine, reproof, correction, and instruction in righteousness, that men of God may be complete, thoroughly furnished unto all good work. The one true God has revealed himself as the self-existent I AM and the Creator of the universe existing in three persons: namely, the Father, the Son and the Holy Ghost. Jesus Christ is the only begotten Son of the Father, conceived of the Holy Ghost, and born of a virgin. He was crucified, buried, and raised from the dead. He ascended into heaven and sits and stands at the right hand of the Father as our one and only mediator and intercessor. The Holy Ghost is the third person of the Godhead, who indwells, convicts, and seals all believers in Christ; fills those who believe in him; and gives spiritual gifts to all believers. All have sinned and come short of the glory of God. Repentance is commanded of God to all and is necessary for forgiveness of sins. Man=s only hope for redemption is in Jesus Christ, the Son of God. Justification, regeneration, and the new birth are wrought by faith in the blood of Jesus Christ; in sanctification subsequent to the new birth, through the word of God, and by the Holy Ghost. The outward evidence of salvation is a life of growing in grace, righteousness, and true holiness before all men. Holiness is God's standard and lifestyle for his people and should be earnestly pursued by walking in obedience to God=s word. Baptism in the Holy Ghost is subsequent to a clean heart and the new birth and is evidenced by the endowment of spiritual fruits and gifts, testimony and service. With baptism in the Holy Ghost comes the manifestation of the gifts and fruits of his Spirit and their ministry in the body of Christ. All who have really repented and in their hearts have truly believed on Christ as Savior and Lord should be baptized by immersion in water. In so doing, they declare to the world that they have died with Jesus and that they have also been raised with Him to walk in newness of life. A divinely called and scripturally ordained ministry has been provided by our Lord for a two-fold purpose: to evangelize the world and to edify the body of Christ. The Lord's Supper is the expression of our sharing the divine nature of our Lord Jesus Christ, a memorial of his suffering and death, and a prophecy of his second coming. Jesus Christ is coming again to resurrect the dead in Christ. Those who are alive shall be caught up to meet him in the air and shall reign with him on earth for 1,000 years. Those who have not accepted the redemptive work of Jesus Christ will suffer eternal separation from God. Anyone whose name is not found written in the Book of Life, together with the devil and his demons, the beast, and the false prophets, will be consigned to everlasting punishment in the lake, which burns with fire and brimstone, which is the second death. According to his promise, we look for new heavens and a new earth wherein dwelleth righteousness.